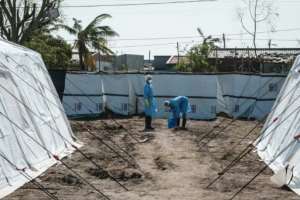 Doctors and nurses wearing Wellington boots and face masks tended to patients in tents at a hastily-erected treatment centre in Beira, Mozambique following the devastation of cyclone Idai and its aftermath. Several dozen patients suspected of having cholera, an infection caused by bacteria, were grouped outside the hospital in the Macurungo neighbourhood according to the severity of their symptoms which can include diarrhoea. "We're not leaving anything to chance. 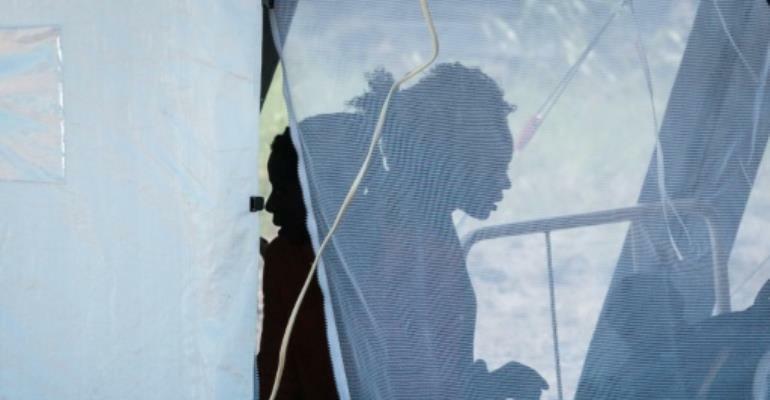 All diarrhoea cases are treated as possible cholera cases," said a local health officer as the smell of chlorine used to clean patients' shoes filled the tent. 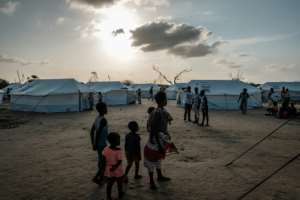 Two weeks after the devastating cyclone slammed Mozambique, authorities and aid workers are scrambling to avert an epidemic. At least 139 cholera cases have been reported in and around Beira, according to official tallies published Thursday. "Until now no one has died of cholera," said senior Mozambican health official Ussein Isse. But there is fertile ground for the infection to spread and the situation to worsen. 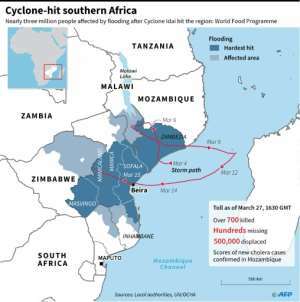 Cyclone Idai killed more than 700 people across Mozambique, Malawi and Zimbabwe and hundreds of thousands have been left homeless -- many of whom have been forced to use dirty water supplies. "Cholera is spread by faecal matter. A flood tends to flood all the toilets, latrines. All of that then comes up and contaminates the water table and the water supply," said David Wightwick, the World Health Organisation's head of operations in the affected region. "It's very easy to transmit." In one of the tents at Macurungo, Vitoria washed her three-year-old daughter Irene, who was laying on a bed. "She has diarrhoea because she drank contaminated water a few days ago," said the woman with a slight frame and pulled-back hair. "After the floods we didn't have any more drinking water -- but we were thirsty and didn't have a choice," said the young woman. Vast quantities of drinking water and water purification units have been delivered to affected areas accessible to aid teams as well as nine health centres including Macurungo. "We should be able to manage the outbreak," said Wightwick, who added that stringent hygiene measures would be needed to tame the situation. "We have 900,000 doses of oral cholera vaccines which are coming in on Monday. And we will start the vaccination campaign as soon as possible. Teams are already being trained. "There is one dose per person that means it will give people a three-month protection. It buys us some time, and it means we will probably have to do further vaccination." One of the biggest challenges remains delivering aid to communities cut off by flooding. "A lot of help is going to some places, there are other places which still remain cut off," warned Wightwick. The WHO official said a publicity blitz to raise awareness of the cholera situation was under way. "We already have teams out there in Beira with loudspeakers going around in the streets explaining what the people need to do. There's a radio campaign which is ongoing," he said. 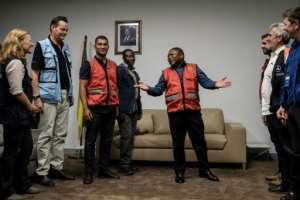 Hand-washing, avoiding contaminated water and separating cooked food from suspect water are among the "fairly simple procedures (required) to manage the outbreak", he added. Those suffering diarrhoea are advised to immediately seek help from a medical centre. One aid worker said "cholera is relatively easy to spot by looking at the stools which, in infected patients, are the same consistency as cooked rice water". Several beds installed at the Mucurungo medical centre are already free but doctors and nurses warn that the worst is yet to come. "For now, we have four tents with beds to handle patients," said a senior medical official, who requested anonymity. "But ideally, we'd have several more."